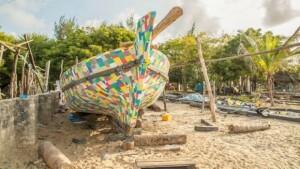 It was 6pm when an unusual rainbow-colored boat, made of recycled plastic waste and discarded flip-flops gathered from beaches and roadsides, dropped anchor off the beach at Mtwapa, near Kenya’s coastal city of Mombasa. The 9-meter-long dhow, The Flipflopi, was sailing south along East Africa’s coast to raise awareness of the threat plastics pose to the oceans. Beaches and marine ecosystems have been badly affected by plastics, Skanda said, adding it was time to change local people’s mindset on how they handle and dispose of waste. 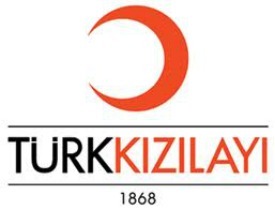 “That’s why we started this voyage – to reach out to communities in East Africa, and also globally,” said chief boat-builder and captain Ali Skanda. The boat’s voyage took it 311 miles south from Lamu island in Kenya to Zanzibar in neighbouring Tanzania over two weeks in January 2019. Along the way the boat made six stops, with its crew joining local people, schools and officials for beach clean-ups and events highlighting the effect of plastic pollution on the seas. The motivation for boat-builder and fisherman Hassan Mohammed, 56, was seeing how much has changed in recent decades. Until 20 years ago, the shore at Mtwapa was free of pollution, he said. But tourism has meant increased use of plastic carrier bags and bottles, which has harmed the ocean. “When I started fishing, the only people around were fishermen and fisherwomen – and we used woven baskets and no plastics,” he said. “Nowadays, many people have started local businesses, like hotels along the shores, and contributed to a huge mess – as you can see, the place is littered with plastic bottles,” he added. The Flipflopi, built from 10 tonnes of plastic waste, was first launched late last year. Researchers estimate the world has produced more than 8.3 billion tonnes of plastic since the early 1950s, according to UN Environment. Of all plastic waste, just 9 percent has been recycled, its website says. About 12 percent was incinerated, while the rest ended up in dumps, landfill or loose in the environment. In partnership with the Flipflopi-Clean Seas campaign, the Mombasa County government committed to help keep plastic waste off its beaches by closing its biggest dump, Kibarani, and turning it into a natural space by planting trees. UN Environment has been working with the local government to clean up and rehabilitate the Kibarani dump, which has emptied waste into the ocean for 50 years, according to Mombasa County Governor Hassan Joho. The area’s importance as a tourism destination meant there was a need for proper waste management, he said. “We have serious historical damages to our environment that we need to deal with – the amount of plastics waste that was here was unbelievable,” he told the Thomson Reuters Foundation. “We decided to change this, (but) Kibarani is just a fraction,” he said, adding Mombasa needs $20 million each financial year to efficiently manage its waste. Still, “we are happy we are on the right track”, Joho added. Africa faces a significant funding gap – of up to $40 billion – in tackling waste management, said Juliette Biao Koudenoukpo, the director of UN Environment’s Africa office. The continent’s municipal solid waste generation, currently 125 million tonnes annually, is expected to double by 2025 due to changing purchasing habits and rapid urbanisation, she added. The effort to clean up Kibarani has already changed the attitude of 24-year-old dump-site worker Lilian Ayuma. Since I started working here I have become environmentally conscious, and I cannot haphazardly throw garbage around at home,” she said. The private sector is key to finding solutions to plastic pollution through reusing plastic and developing alternatives, said Joyce Gachugi-Waweru, country manager at PETCO, Kenya’s national industry body for plastic recycling. “The recycling industry could provide jobs for young people, generate wealth and safeguard the environment,” she added. Kenya’s government has been proactive in the fight against plastic pollution, banning the manufacture, sale and use of plastic bags in 2017. At an international conference on building a “sustainable blue economy”, hosted by Kenya in November, governments and experts committed to improving the health of oceans, seas, lakes and rivers, while harnessing their potential to create jobs. The FlipFlopi’s expedition came ahead of the United Nations Environment Assembly in March, where more than 190 nations will discuss innovative solutions to make production and consumption greener, and other critical environmental challenges. The boat will be on show in Nairobi during the gathering. The Flipflopi arrived in Stone Town, Zanzibar, on Feb. 7, eliciting pledges in its ports of call by 29 establishments, including 22 hotels, to minimise their plastic waste. “The voyage itself, and innovative spirit behind it, are symbolic of what we can do to make a difference,” Seif Ali Iddi, second vice-president of Zanzibar, said in a statement. Zanzibar – a popular resort island – is committed to the fight against plastic pollution and will work closely with its citizens to find solutions, he added. Skanda, meanwhile, is looking forward to undertaking more such voyages around Africa in the fight against plastic waste. “We are still fundraising to build a bigger boat so that we (can) sail to Cape Town in South Africa and to (all of) Africa,” he added.